Poker lore is full of unsavory degenerates. Images abound of those who play poker gambling away their rent money or cheating to win. Poker venues are imagined as mafia-backed casinos and smoke filled basements hosting illegal games. Check out the best poker movies and you’ll find plenty of shady characters and less-than-noble behaviors. This, however, is not the poker world we have come to know and love. Poker is a pastime for a wide variety of people. It’s an avocation, a hobby, that engages people in a mental and social activity, much like bridge or golf. 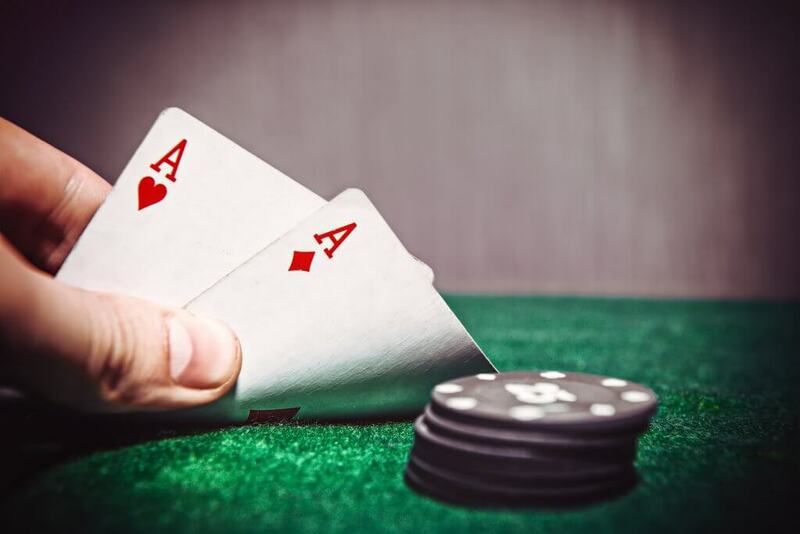 There are definitely potential downsides to playing poker, but anyone can pursue poker as part of a healthy lifestyle if they attend to these pitfalls. The typical poker venue, like our go-to local room Hampton Falls in New Hampshire, has the feel of competitive camaraderie. Everyone is trying their best to play poker well and to win. Ninety-five percent of players are gracious and understand both the skill and luck aspects of the game. There is an overriding atmosphere of “we’ve come together to share this activity we all love.” There’s a real feeling of being an insider in a world that those who don’t play can never understand. 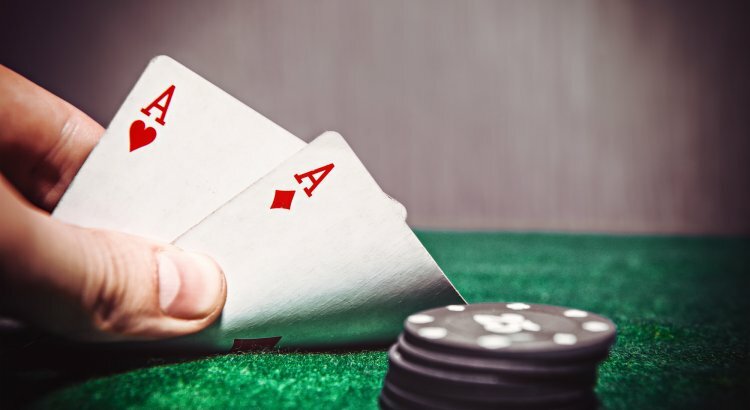 The two most common phrases uttered at a tournament poker table are “nice hand” and “good luck” (when someone has gone “all-in” for his or her remaining chips). Sure, there are those who question the sincerity of the latter. When someone gets eliminated from a tournament it’s to your advantage, so selfishly you want that to happen. But, in the moment, people mean it. Poker players feel empathy in that spot, because we’ve all been there hoping to survive the hand and play on. Not everyone follows these friendly norms when they play poker. Some do treat it like a battle with no concern for others. There are occasional condescending know-it-alls. Volatile players also exist who are friendly until they get beat and then enraged when they lose. But these are the exceptions. Most players are civil at worst, gregarious and welcoming at best. As we look to our later years, we’re aware of the science of longevity and mental acuity. Enjoying the latter part of your life relies on mental as well as physical good health. For the physical part we try to eat well and exercise. But we also engage in various activities utilizing cognitive abilities that we will continue past our employment years. This blog, and other writing that we do, is one of those activities. Playing board and card games with friends and family is another. 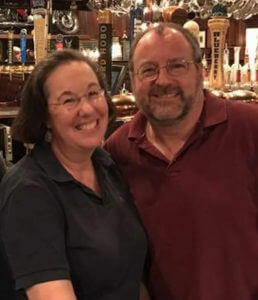 We also love our local pub trivia night along with our nightly Jeopardy! episodes. Poker, however, may be the most mentally strenuous activity that we do outside our work. We play poker with 90-year-olds who take a long time to get to the table, but play brilliantly when they do. The game of poker requires you employ skills in math, strategy, logic, and the ability to understand human behavior. You need to maintain attention, exercise keen judgment, be patient, and preserve emotional balance. Basically, your whole brain gets a workout. Some players are stronger in some of these aspects, others in a different set. But if you take it seriously, playing poker requires a broad range of intellectual skills, along with emotional balance. 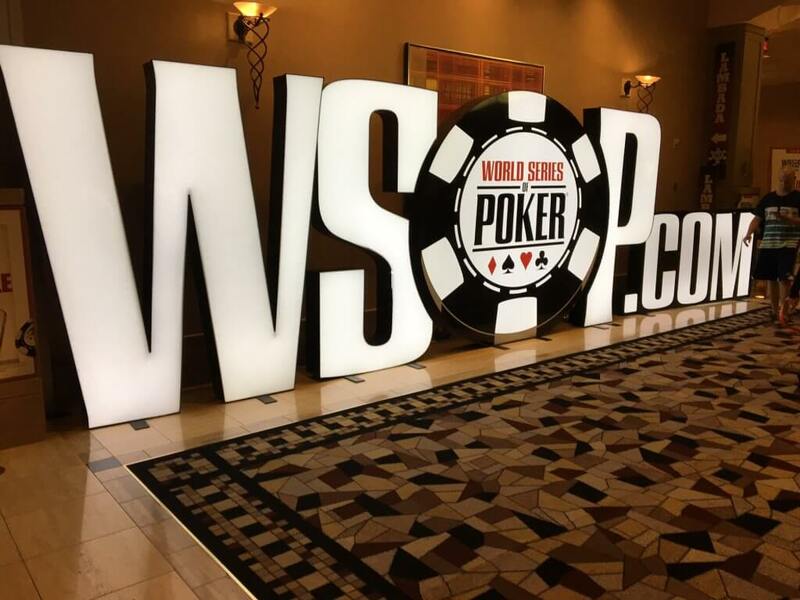 My exposure to poker started with watching the World Series of Poker on TV many years ago. I was immediately riveted by the game. The strategy was certainly one element, but the characters were even more compelling. Many famous poker professionals did not seem like they could be real people, they were just too perfectly cast. From the intimidating presence of the famed Johnny Chan to the noble Doyle Brunson, the volatile PokerBrat Phil Hellmuth and the loquacious Prince of Poker Scotty Nguyen. All of these great players appeared to have been cast in Hollywood for the show. Even more compelling was the variety of walks of life from which these players arose. There were immigrants who fled war torn countries, Ivy League graduates, and college drop outs. Players came from over 100 countries. And all of these people came to play poker. And as Chris Moneymaker taught the world in 2003, even a complete novice could win the famed Main Event. But the WSOP in those days was heavily packaged for TV. I assumed that the variety of characters were a result of ESPN’s craft and famous players sculpting their images to market themselves. 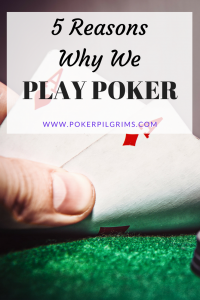 After years of playing in card rooms across the country with everyday recreational players, we’ve found that real life poker characters abound. Poker allows you to interact with people who are not part of your work or everyday social circles. When you sit down to play poker, there may be a 21-year-old mechanic on your left and a retired business executive on your right. There will be players born in Vietnam, Croatia, Ireland, and Australia. Unassuming quiet types will test their patience alongside players who seem to play in order to workshop their comic material. Staunch conservatives and bleeding-heart liberals will find a way to co-exist side by side, if only for a few hours. Poker offers a true melting pot. When you play poker at low stakes, it’s tough for even great players to be profitable. The house takes a percentage of course. Most players tip dealers. There is also a lot of “overhead” that subtracts from winnings. You have to be a great and fortunate player to make money at poker. At the recreational level, poker should be considered an entertainment choice and weighed against other entertainment options. The median cost for a round of golf at a public course is $36 and takes about four hours. That adds up to $9 an hour. In 2018, the average cost of a movie ticket is over $9 as well, generally for under 2 hours of entertainment. These are sunk costs. If you’re competent at poker, however, you can recover some of the money invested by winning a portion of it back. Heather and I calculated the number of hours we played in 2017, the money that we invested and the money that we won. It turns out that it cost us $2.18 per hour to play poker. That’s better than even discount movie prices. Additionally, I (Paul) had the good fortune of winning a promotional “bad beat” jackpot for $12,000 a couple of years ago. Bad beats are pure luck, but poker rooms often include these long-shot payouts as additional incentives to play. This windfall allowed us to play for a few years, if we are judicious, in the profit. Promotional jackpots are not something anyone can count on. But if a windfall happens, a careful individual can play “free” for a while. All of the above assumes smart and responsible money management. Not everyone has these skills. 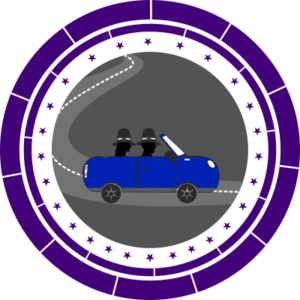 We track every penny of our poker spend and set budget targets for our play. We are careful about the ancillary costs of playing poker. Over time we have stayed fairly steady in the balance. Admittedly, there are some who find gambling so addictive that it would be unwise to enter any cardroom or casino. And we have certainly seen players who we wish we could advise to walk away and never return. There are also those who fantasize that they will make a living playing poker. To those we caution that to do so is incredibly rare. Over time, players with more poker skill win more than those who are less skilled. 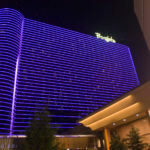 However, on any given day, anyone can win a bundle in a cash game or take the top spot in a poker tournament. You can’t step on a court with LeBron James and beat him one-on-one, ever. But you could take on a world poker champion tomorrow and beat him in a poker game if the cards break your way. The mixture of skill and luck make poker a highly accessible pursuit. At its best, poker is a drama filled with great characters and mental challenges. Poker engages us on intellectual, emotional, and social levels. To play poker is to participate in a rich, heterogeneous community. It leverages the things that are fun and uplifting about playing games with fellow human beings, and offers a very rewarding entertainment experience. For all of these reasons, we love the game, and will continue to play as often as time and budget allow.